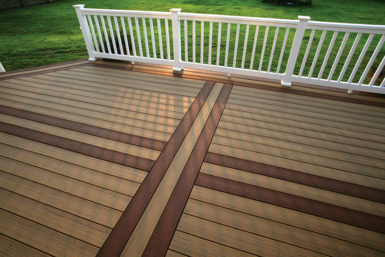 If you are looking to have a patio deck installed in your O’Fallon, Illinois yard, turn to Chesley Fence & Deck. Since 1967, we have been expertly installing premium decking products and settling for nothing less than complete customer satisfaction. In fact, because of our commitment to providing exceptional service, we maintain an A+ rating with the Better Business Bureau. While all of our decking options would make an excellent patio deck for your yard, our installers often recommend our Tamko Envision® PVC coated composite decking because of its 20-year manufacturer warranty that covers staining, fading, and discoloration. Yet, no matter what decking option you choose, you can rest assured that it will be installed with exacting precision and in any configuration or shape you desire. 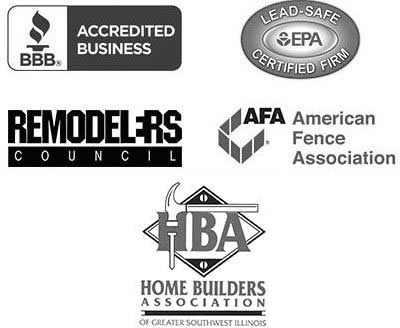 If you would like to learn more about all our patio deck options available to homeowners in the O’Fallon, IL area, contact Chesley Fence & Deck today.